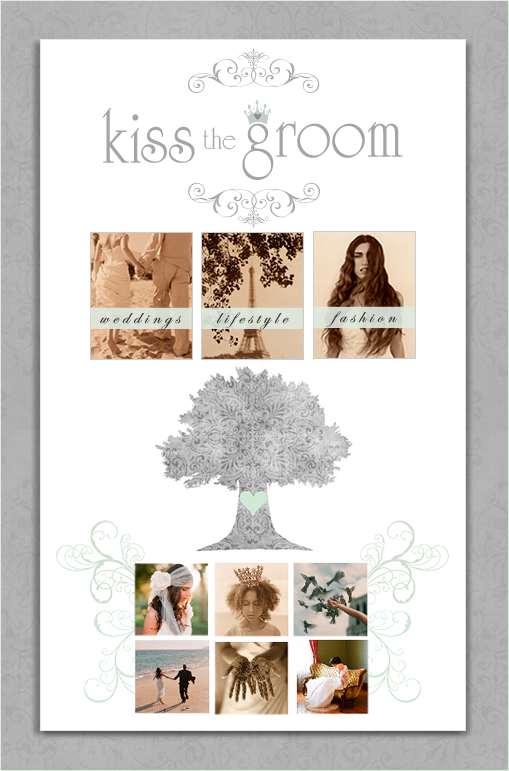 I recently had the honor of designing www.kissthegroom.com for elizabeth messina. kissthegroom.com will not only be her special place to share her dazzling work but a place to gather inspiration. One of my personal favorite spots on the site is her kiss and tell section where she will be sharing memorable kissing stories. Her whole concept is unbelievably romantic, you will feel that as soon as you first enter the site.